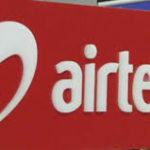 Airtel Nigeria is one of Nigeria’s telecommunications giant with a very large user base and broad network connection. Airtel Nigeria has different tariffs, each having distinctive features and benefits, all to suit the various need of their customers and we would be taking a look at them today and how to subscribe to migrate to them. This is Airtel’s newest and most popular tarrif plan also known as “OVAJARA”, with a very aggressive and popular advertisement campaign. 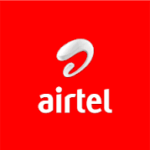 It is Airtel’s default tariff for new users who buy their and register their sim cards. This plan offers over 200% bonus(250%) amongst other benefits on every recharge you make, which is why it is called “OVAJARA”. The bonuses are valid for 7 days. And so on for each and any kind of recharge you make on your line, you get those bonuses respectively valid for 7 days. NB: Your main credit balance doesn’t expire after the 7 days validity period, it remains there permanently. 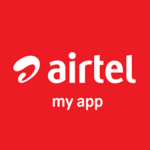 SmartTRYBE is a special plan from Airtel designed to keep you connected through internet and voice. It offers a balanced benefit for voice and data. You can make calls at the best rates, enjoy N500 for 1GB data valid for a week and use their cheap night browsing to download your favorite series, movies and lots more. N25 for 500MB. Valid between 12 and 5 am. This is mainly a voice based tariff plan with varying data bonus depending on your recharge. You get to enjoy calls charged at 11k/s to all networks, including foreign calls. All calls to all networks and in Nigeria and international calls are at 11k/sec after the 1st min of the day at 40k/sec. International Calls include these countries: US, UK, India, Canada, China are at 11k/sec after the 1st min of the day at 40k/sec. Receive calls for free while roaming for up to 500 minutes/ outside Nigeria. * A daily access fee of N5 for you to enjoy calls at 11k/s per day. * International calls to USA, Canada, China, India and UK are charged at 20k/s. smartVALUE is another voice based tariff plan at 15k/s with no daily access fee charge or 1st minute charge. All your calls to all networks is charged at a flat rate of 15k/s. It has a similar international call rate with smartTalk 2.0 at 20k/s to USA, Canada, China, India and UK, but with no daily access fee charge. smartRoam is a product that allows Airtel subscribers to receive free incoming calls while roaming on 10 networks in 5 countries after recharging N5,000 and above in a month. The N5,000 and above can either be for a single recharge or cumulative recharge within one calendar month. You get to enjoy free incoming calls while roaming in UK, USA, South Africa, Saudi Arabia and UAE. 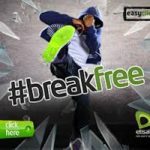 NB: The free incoming calls will only be valid for 30days after the subscriber’s recharges hit N5, 000. After 30 days the subscriber will have to recharge again in order to receive free incoming calls. 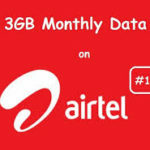 Next Post: Airtel 500 Naira Data Plan: How To Subscribe And All You Need To Know About The Bundles.